Rangriti, a new venture by Siddharth Bindra, CMD of BIBA, recently opened its doors to the households at Yamunanagar. The flagship store reflects a flawless fusion of style and affordability - from use of lively colours to beautiful designs - this is a shopping lover’s paradise. Rangriti will offer some of the finest and most exquisite of clothing line and is all set to become a shopaholic’s heaven with the outfit collection ranging from chic and striking Indian wear for women. The collection at Yamunanagar store will comprise of wide range of beautiful kurtas, kurtis, Anarkalis, churidars, pallazzos, skirts and dupattas in pleasing prints, colors and patterns which will aim at bringing freshness, variety & style to every woman’s closet. Siddarth Bindra, the MD says, "We are excited to launch our Exclusive store in Yamunagar. With a varied range of vibrant Indian wear, Rangriti looks forward to become the most preferred shopping destination for its customers. Rangriti provides high-end fashion at very attractive prices making it a perfect answer to every woman’s wish of making every day exceptional." 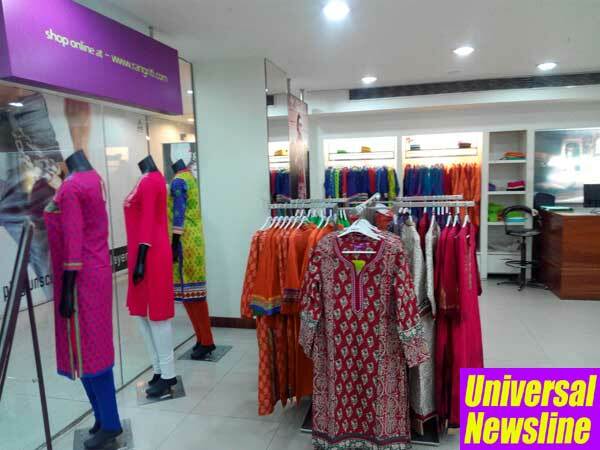 The recently launched store, located in Yamunanagar, is all set to become a shopper’s stop appealing to the masses of the city with its high affordability and wide variety of fashionable clothes catering to the women’s garment segment. Rangriti looks forward to give its customers a value for their money. Price Range for Rangriti- Rs. 499 onwards.